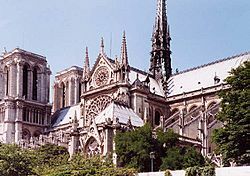 The cathedral of Notre Dame de Paris, whose construction began in 1163, is one of the finest examples of the High Middle Ages architecture. 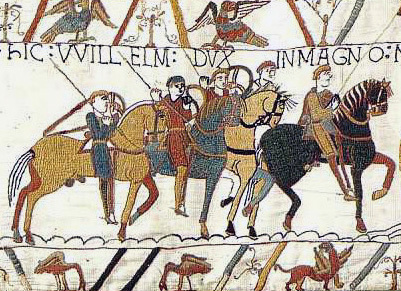 The High Middle Ages was the part of European history in the 11th, 12th, and 13th centuries (AD 1000–1299). 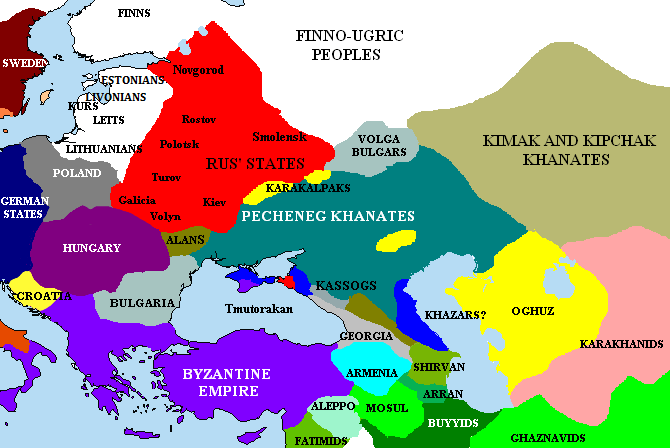 Before the High Middle Ages came the Early Middle Ages (from the 5th century to approximately AD 1000). 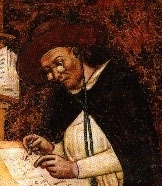 After the High Middle Ages came the Late Middle Ages (about AD 1300–1500). 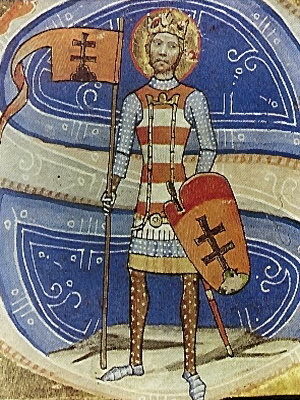 A fresco from the Boyana Church depicting Emperor Constantine Tikh Asen. The murals are among the finest achievements of the Bulgarian culture in the 13th century. 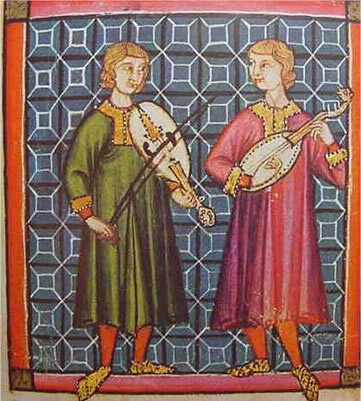 High Middle Ages Facts for Kids. Kiddle Encyclopedia.